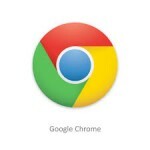 Chrome is very powerful in caching the web contents, so that it gives a fast experience for the Chrome users. But it is really irritating for web developers. I just found out that Google has invented a new feature for the reload button to handle the caching problem for developers.